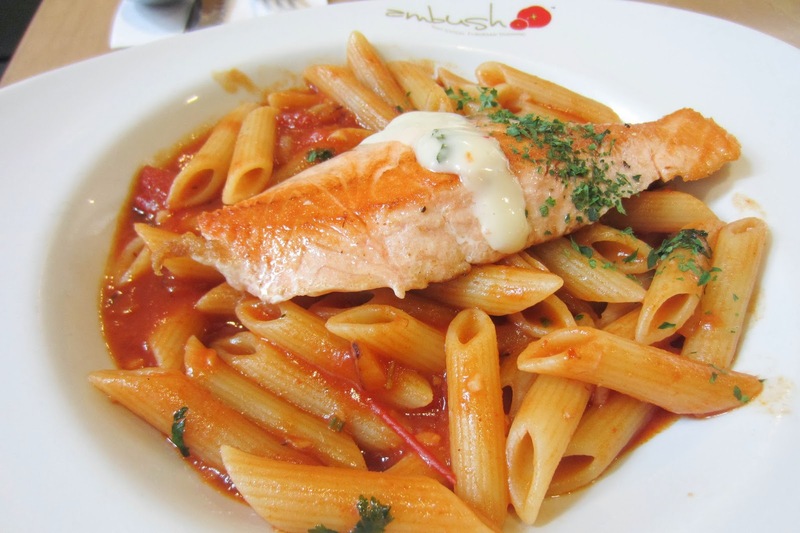 Ambush boasts being a fast casual European dining place and has been around in Singapore for many years. 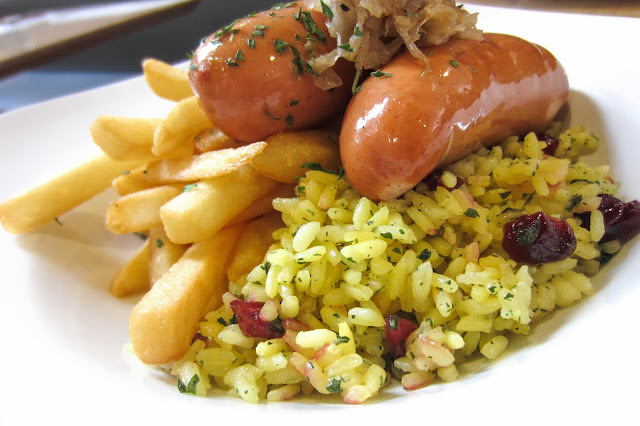 With weekday set lunches starting from $9.90, it is rather affordable in contrast with many other European dining options. 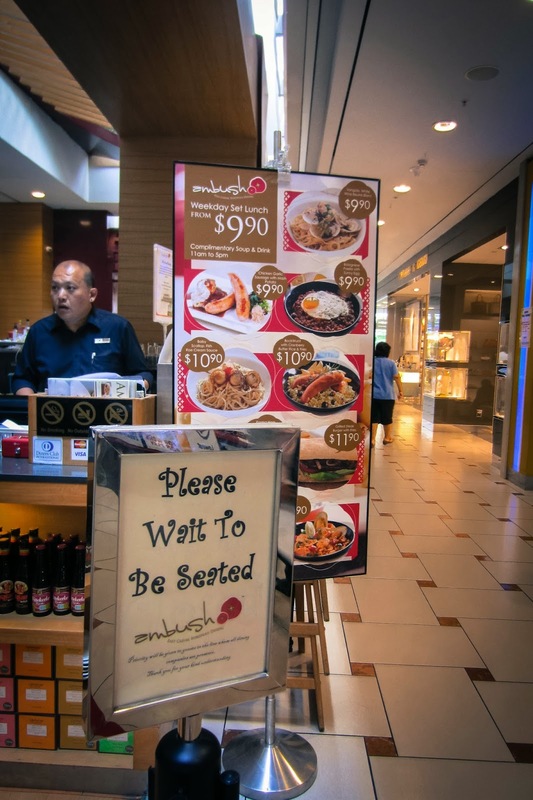 However, Ambush doesn't actually resemble any form of European dining. My mother tried to order some pasta that was widely available in Paris, but the waiter said 'we only have spaghetti, linguine and penne'. Even Pastamania has more options than Ambush, so why do they boast being a European casual dining centre? 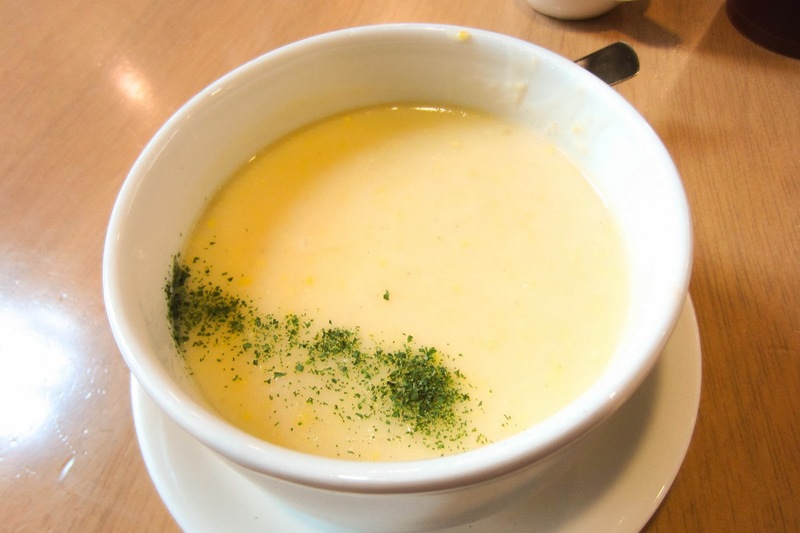 The given soup of the day was corn soup, which surprised me with the hastily-sprinkled garnishing. For an additional $1.80, you get the Ambush Coffee Latte. The aroma was really strong and extremely fragrant! 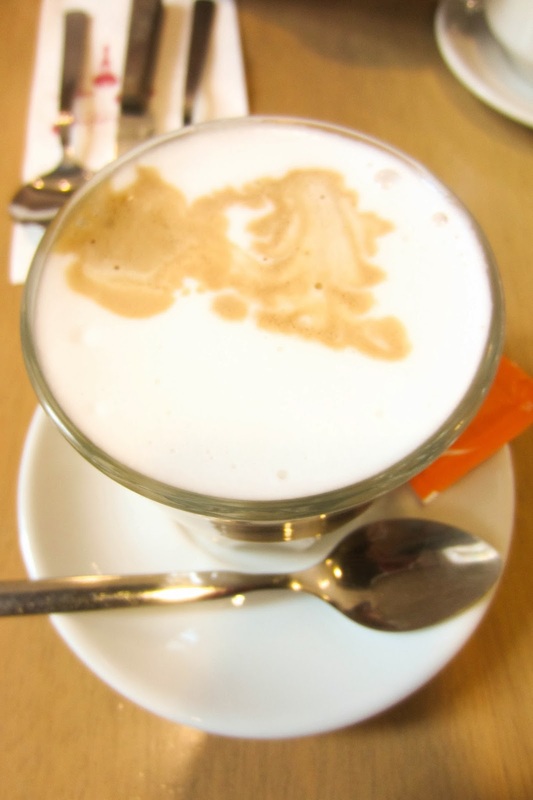 In fact, the coffee was one of the better beverages that I've had. Ambush certainly uses fresh coffee beans and the froth was very, very smooth. There were no bubbles at all in the froth. 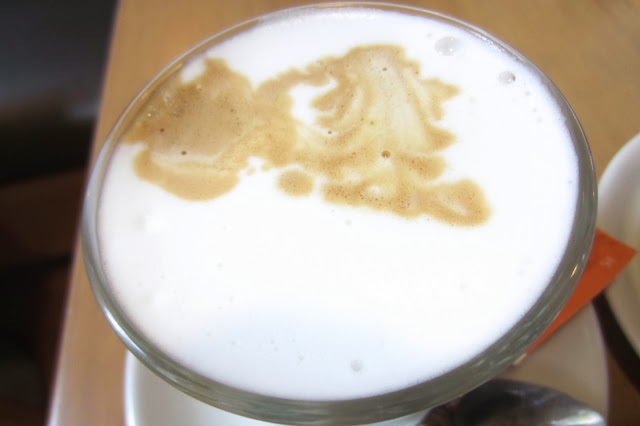 The latte art was really strange though. It was probably meant to be abstract latte art because it looked like a Merlion of sorts. 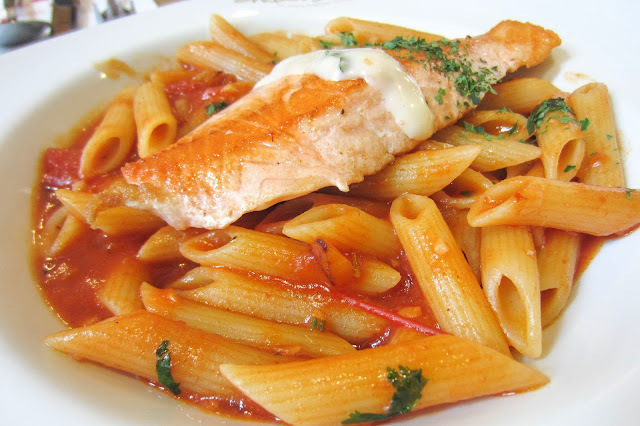 The salmon fillet was fresh and tender. The dollop of tartar sauce combined well with the salmon fillet, though the Thai basil sauce tasted like PESTO tomato sauce instead. The penne was of rather good-quality, soft and springy and evenly cooked. This is definitely worth a try! This is an extremely oily dish! 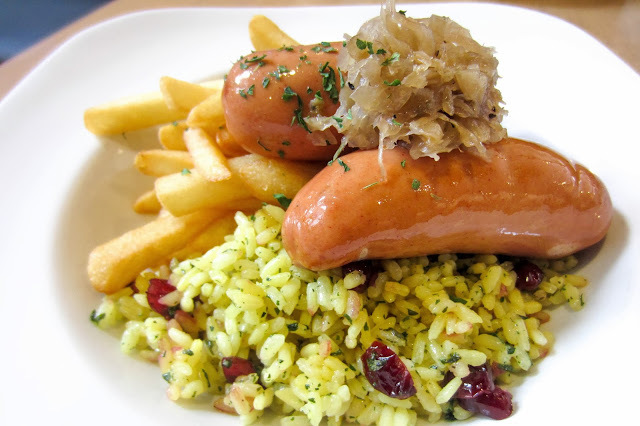 The Bockwurst truly tasted like a German sausage, except that it was too oily for your own good. I loved the cranberries that were mixed into the rice, adding a little sweetness and fragrance to it. The fries were crispy and thick, similar to that of Swensens' criss cut fries though different in shape.